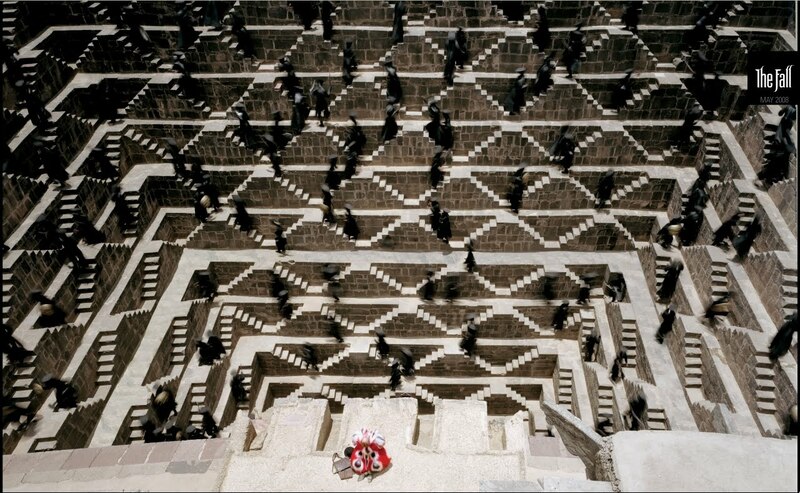 Stone Art Blog: M. C. Escher and the Chand Baori stepwell in India. 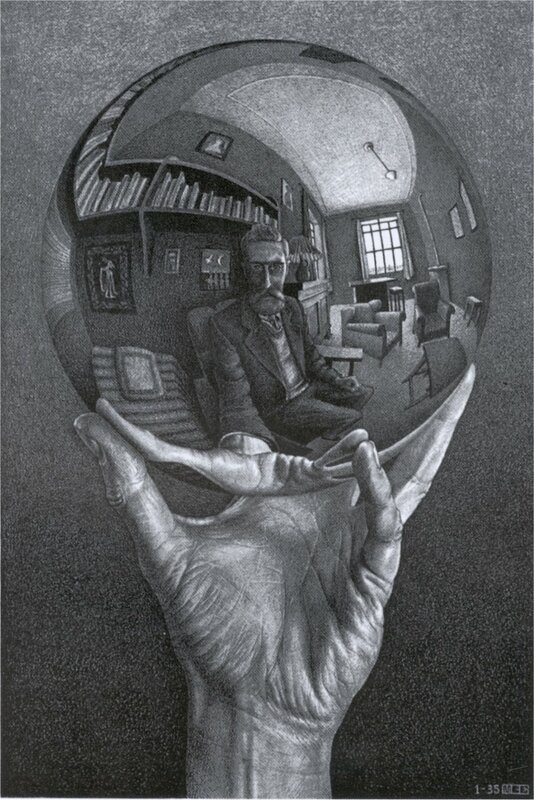 Ever since my art teacher in school handed me a book depicting this picture by M. C. Escher, and a mirror ball, and told me to get busy, I have been a huge fan of his work. 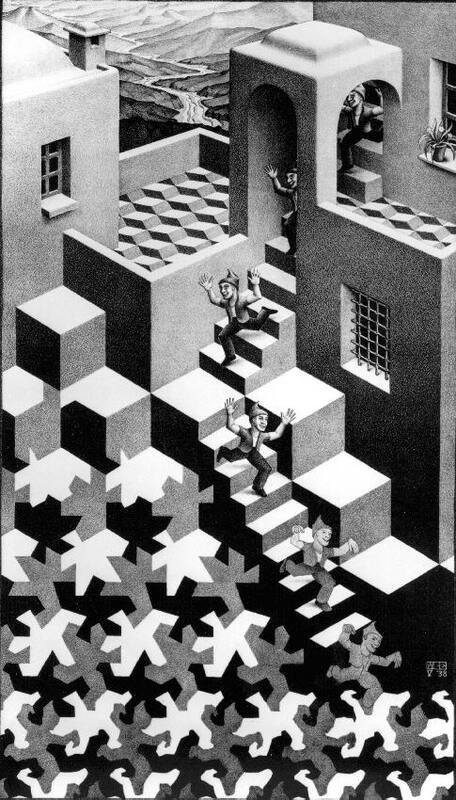 He is by far my favourite graphic artist of all time. 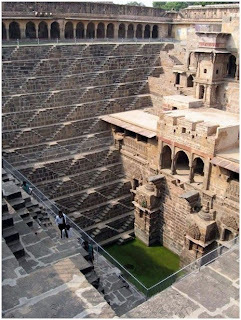 Recently I came across these pictures on the net, of a stepwell situated in the village Abhaneri near Jaipur in Indian state of Rajasthan. 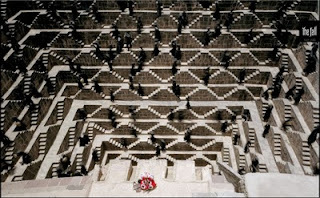 This is one of the deepest and largest stepwells in India. 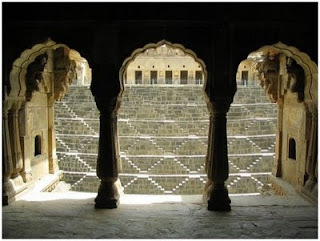 It was built in 9th century, has 3500 narrow steps and is 13 storeys and 100 feet deep. 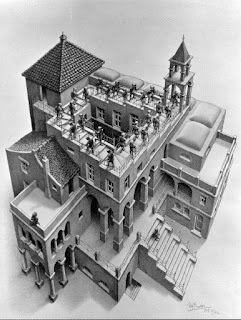 I wonder if Escher knew of this place. 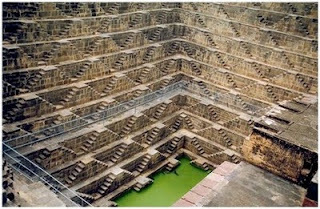 Apparently the arid climate forced the locals to dig deep for a dependable water source, one that would last throughout an entire year. As amazing as this structure is, I wouldn't be too enthusiastic about drinking out of that well. Dear Sunny, Having spent many happy hours as a child completing, or trying to complete, Escher jigsaw puzzles, I found this account fascinating. I should love to see the stepwell in reality although, like you, drinking the water may not be my chosen activity!! 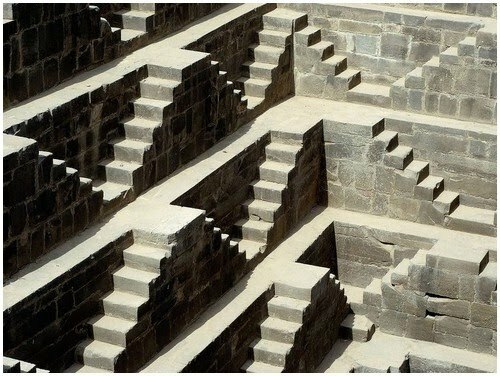 You planning on building a step well!?! 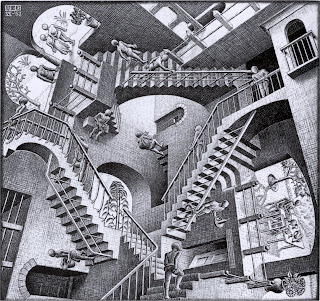 Two of those prints hang on our walls. I remember first seeing his work at the National Gallery in Cape Town when I was a science student. The one I remember there was a reflection in a small puddle on the forest floor. 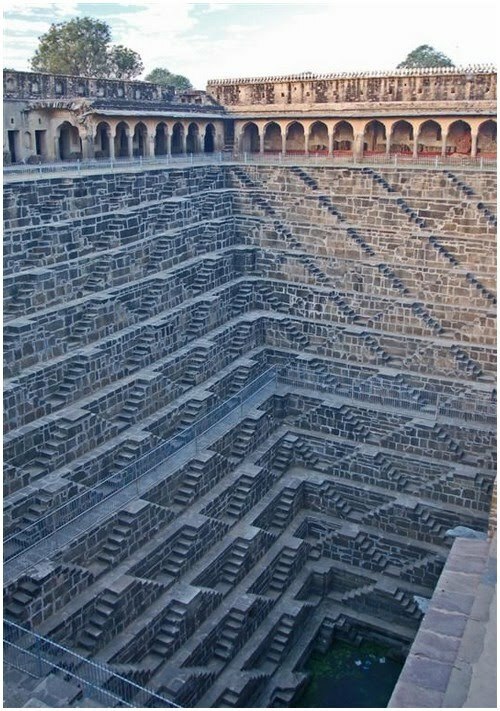 oh my gosh, is that real?! Fantastic. 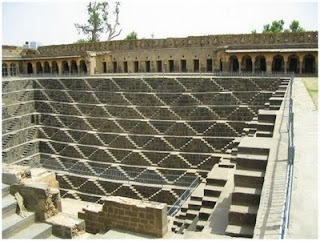 We have taken similar pictures of a water tank in Hampi. Wow, didn't know there was such a "thing", AMAZING. 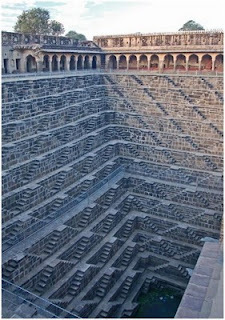 Do not remember what the subject was of the commercial but the line - "How far would you go for a__________" - came to mind whenI read that they dug, dug, dug for water. 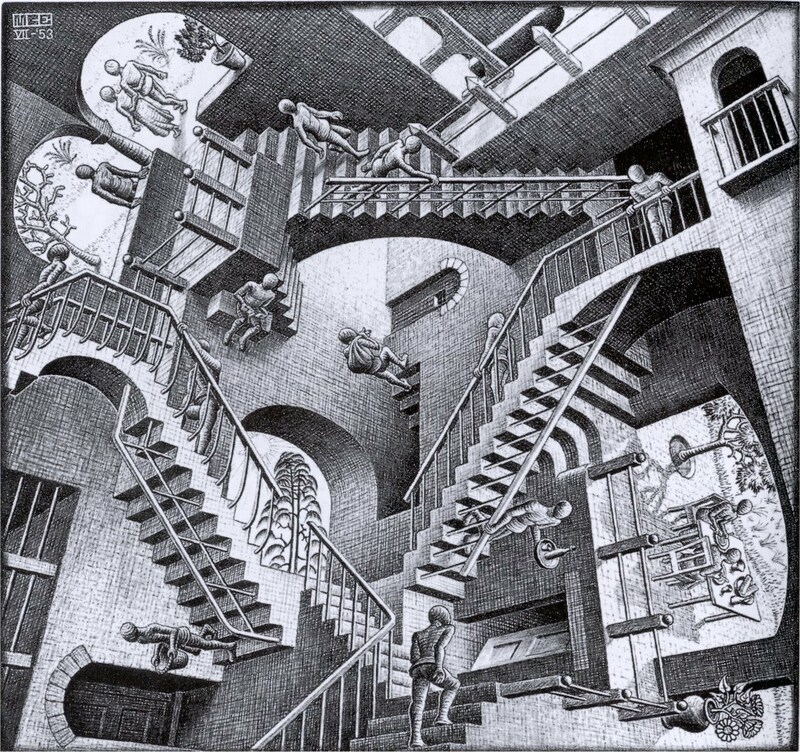 I almost get dizzy just looking at the picture and wonder if anyone ever lost their balance. 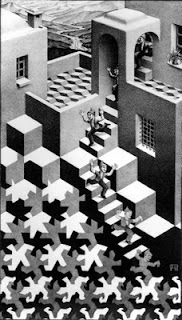 The percison in the pattern is amazing, and yes, it certainly looks like an Escher. The well is exquisite!I love how beautiful (lly) they made the utilitarian task of fetching water become a meditation that speaks to us hundreds of years later. What builders our species are, always one of our best traits -- good to remember when our bad traits seem to have the upper hand. This is a lovely place, thank you. I do not think I have read anything like this before. So good to find somebody with some original thoughts on this subject. Thanks for starting this up. 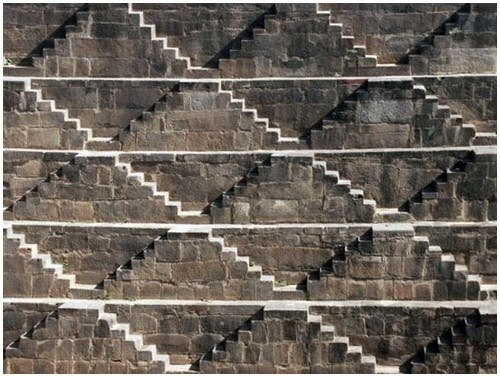 This blog is something that is needed on the web, someone with a little originality. Nice idea although I'd have thought it would have been known long ago if Escher had had these kinds of influences in his work. I'm not really sure he ever based his work on specific pieces of architecture . Wow! It looks fantastic. I wish I knew how to do all that! thanks for sharing.I am your newest follower. Visiting from SNS linky. Hope you can visit me sometime.